Turn to Beaverton Plumbing for our unbeatable selection and service along with our competitive low prices for all your plumbing needs around the Portland Metro area. As licensed plumbing installers, we service the full spectrum of plumbing requirements. We handle kitchen and bathroom remodeling from start to finish and will handily take care of any and all your plumbing emergencies and repairs ranging from dripping faucets to leaky pipes. Hot water heaters, garbage disposal installations, instant hot water, ice maker water lines, sinks, toilets, showerheads, faucets and much more. We cover all your plumbing needs! 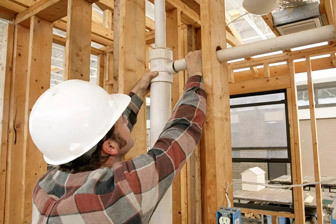 Whether it’s anemergency need, orscheduled residential or commercial projects and services, Beaverton Plumbing is ready to provide a fast response and is eager to help you with any of your plumbing needs. We invite you to call us today or use our contact form, and a helpful representative will contact you as soon as possible.